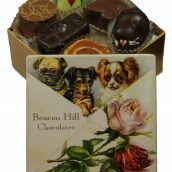 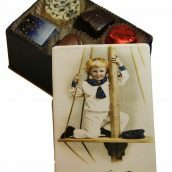 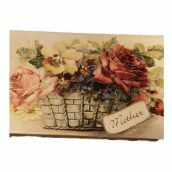 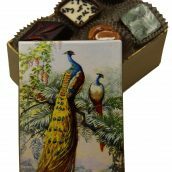 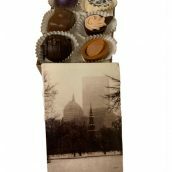 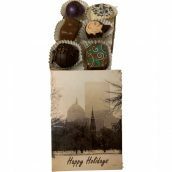 Our Selection of Artisan Chocolates from Around the World presented in a Handmade Keepsake Gift Box. 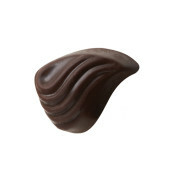 Creamy peanut butter and milk chocolate French buttercream inside a milk chocolate cone. 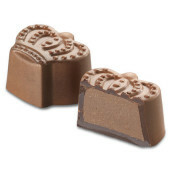 This crowned truffle is fit for the King or Queen in your life. 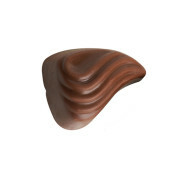 A milk chocolate krunchy peanut butter center is hand-piped into a hand-painted milk chocolate crown shell. 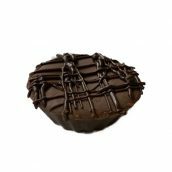 Vegan dark chocolate peanut butter cup. 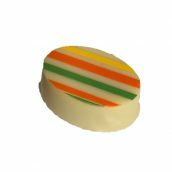 Creamy peanut butter coated in a smooth white chocolate and adorned in Easter stripe decorations. 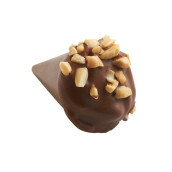 Smooth and creamy peanut butter enrobed in dark chocolate. 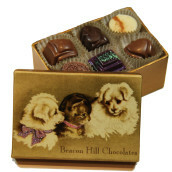 Peanut butter heaven. 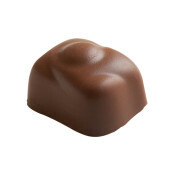 Smooth and creamy peanut butter enrobed in milk chocolate. 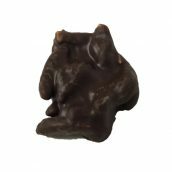 This classic confection is given a new life by pairing delicate, creamy Manzanillo olive oil with pure organic peppermint essential oil. 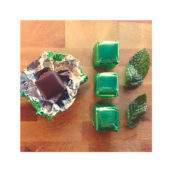 If you’re a fan of Mint Meltaways, you are sure to love these! 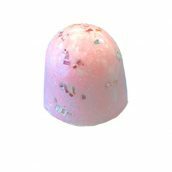 Cotton candy ganache full of the fun “Hippity Hoppity” flavors of everyone’s favorite spun sugar treat in a milk chocolate shell. 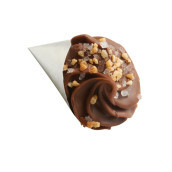 Classic milk hazelnut gianduja wrapped inside a festive cone with a sprinkle of sugar. 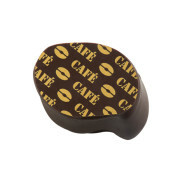 Dark chocolate ganache blended with coffee and hazelnut cream coated in 77% dark chocolate. 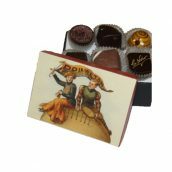 A uniquely delicious truffle with Pomegranate, molasses, and dark chocolate. 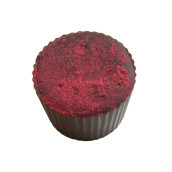 Dark chocolate ganache blended with French raspberry preserves and Chambord inside a 64% dark chocolate cup. 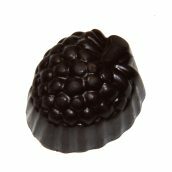 Red raspberries are blended with vanilla beans to give this creamy treat a sweet fruity flavor. 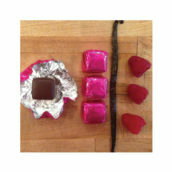 Wrapped in magenta foil. 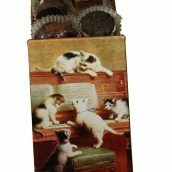 Roasted almond sticks in smooth dark chocolate.